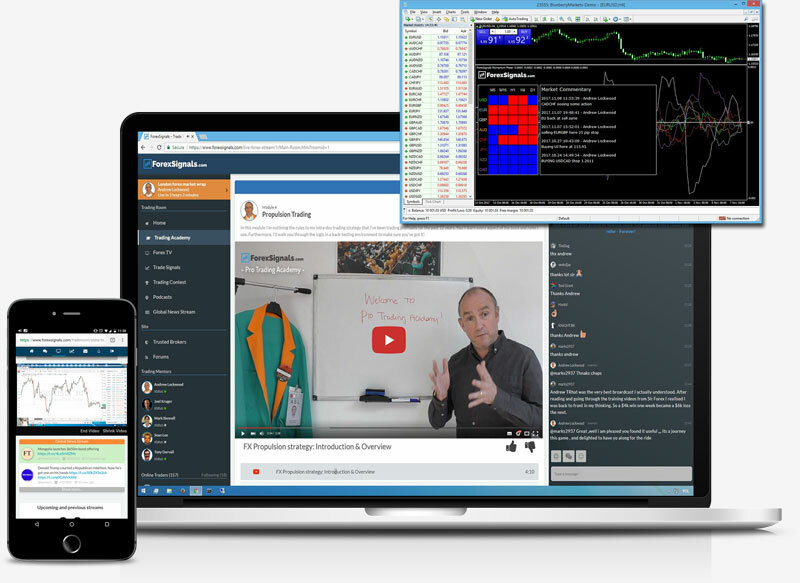 Get Forex Signals and Learn Our Profitable Forex Strategies! Our team will make you succeed in Forex. Join the Trading Room now! Thanks for putting this Trading Room together. I appreciate all the ideas thrown around and watching professionals trade! Done wonders for me! Really improved my strategy and I am a lot more patient waiting for entries. I've been using Momentum Indicator since I got back from travels, and am quiet impressed with it! We've been profitable on Forex Markets since 2012. Start making money with us! Copyright © 2019 ThinkHuge Ltd. dba ForexSignals.com.